The Commercial Street Night Market opened last week with great success. Shew Design created a logo and a look and feel for the project. 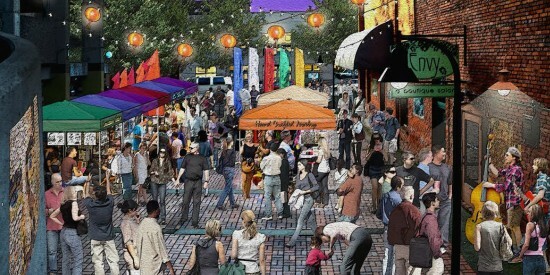 We extend our thanks to a successful collaboration with Dean Fearing, who came up with the original night market idea, and Rick Mullen, who created a beautiful rendering of his vision for the market.